Republicans again choose downstate over WNY. How many times does Western New York have to come in a distant second to downstate? Last Friday, behind closed doors, local Republican senators Ranzenhofer, Gallivan and Jacobs had the opportunity to strengthen what little influence they have left to the benefit of Western New York. With the successful take over of the New York State senate by the Democrats, these senators, now in the minority, were poised to vote for their new caucus leader. Why was this so important? It is common knowledge the party is power controls the money and Republican senators across the state will have limited access to resources. The Republican Senator from Olean, Cathy Young was in the running to become their party’s minority leader. Had the three Republicans given her the nod, an upstate power alliance would have been formed with the hope of using whatever influence granted to benefit families here at home. 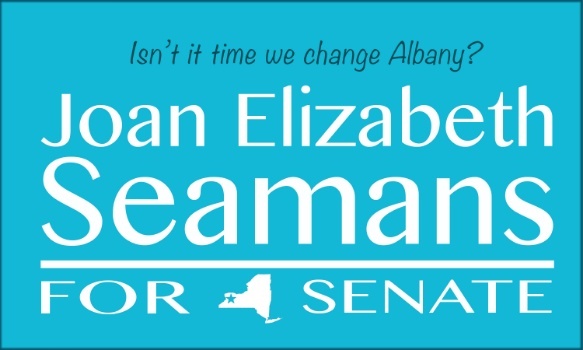 Instead, they voted for Suffolk County, Senator John Flanagan, therefore squandering an opportunity to collectively come together with Long and others to fight for upstate New York. The next two years will be interesting and eye opening. There will be no doors to hide behind for these Senators. Votes will be cast and we will be watching. As resources are distributed and they come up short for Western New York the consequences of this recent decision will be felt. Western New Yorkers deserve leaders who have the political courage to fight for them. While many have lost confidence, I am putting my faith in the newly elected Democratic majority to do just that.